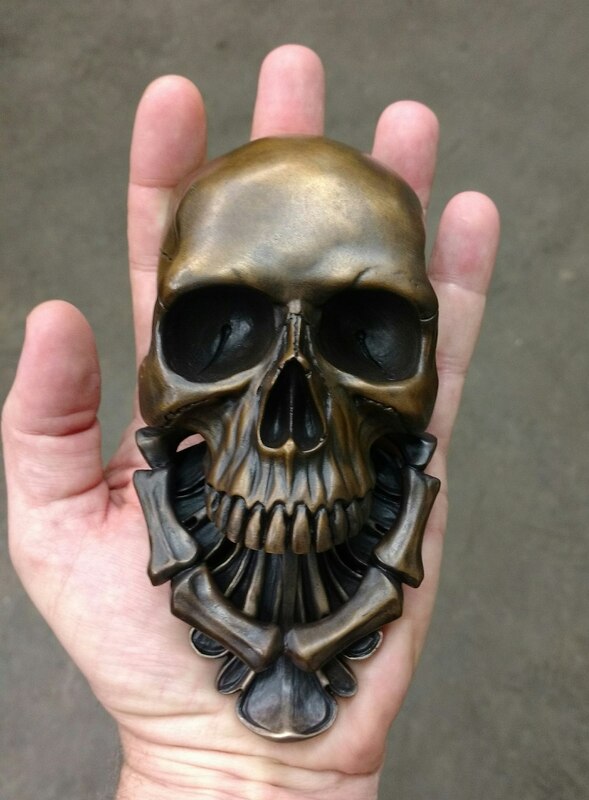 Classic Bronze Skull Door Knocker (contact Karl for details), Bone Finish Patina on Bronze, or Mirror Polish Bronze. 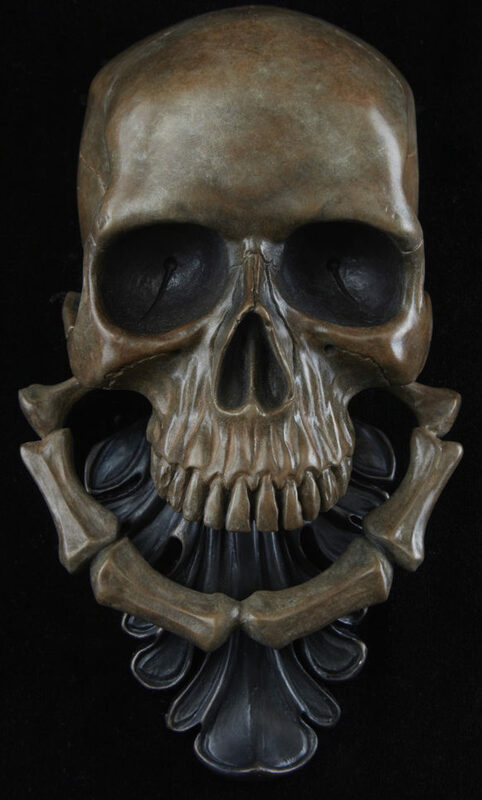 This realistically detailed skull door knocker stands apart from other skull knockers in its realism and detail; down to the optical nerve openings in the skull eye sockets! 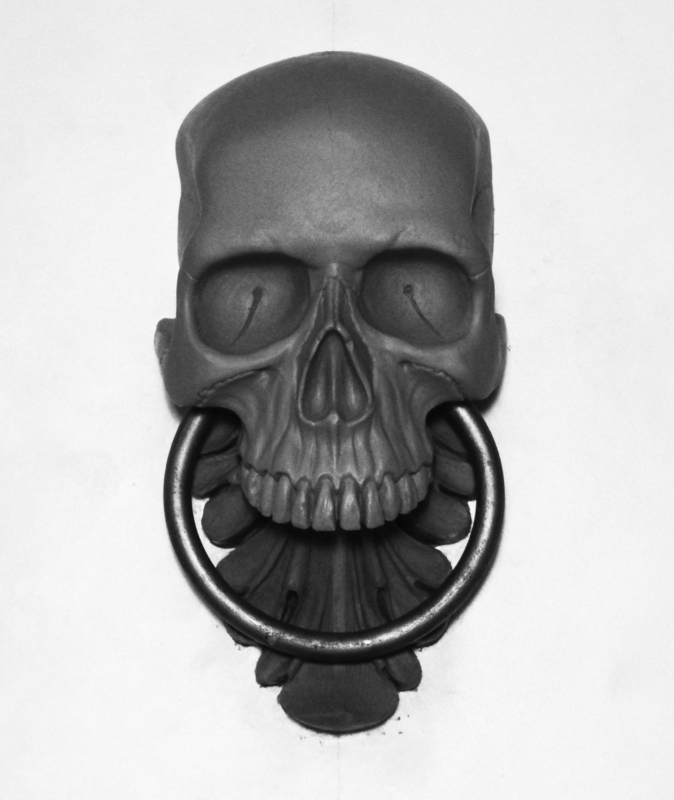 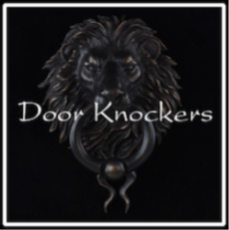 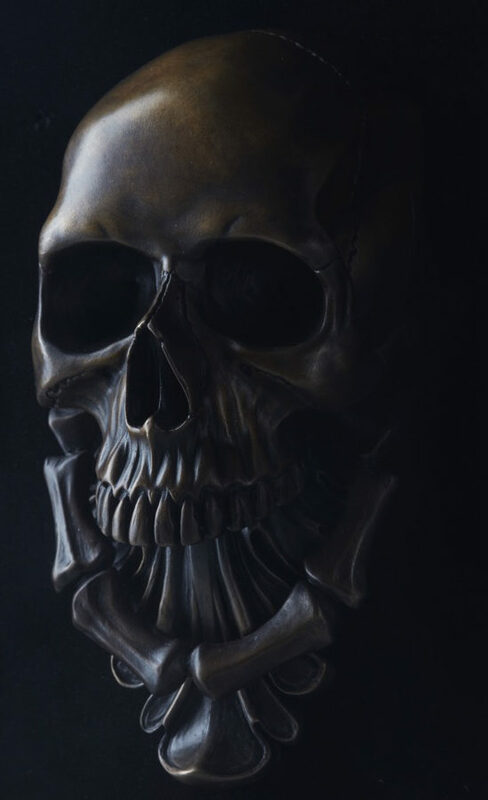 A hand sculpted Skull Door Knocker will be the perfect welcome for the true connoisseur of the macabre. 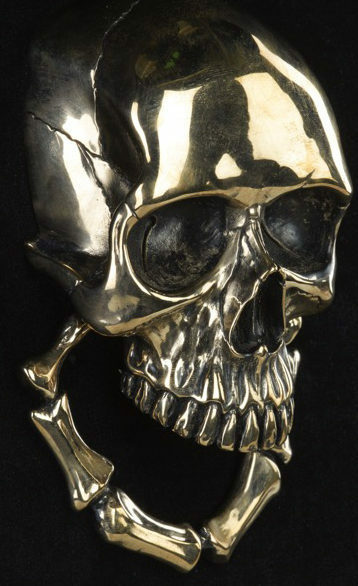 This unique door knocker is cast in bronze using the time-honored and true method of Lost Wax. 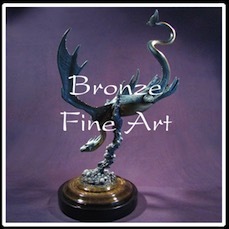 Decorative in its nature, this piece bestows beguiling charm in any entryway. 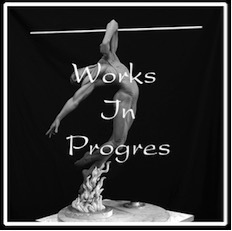 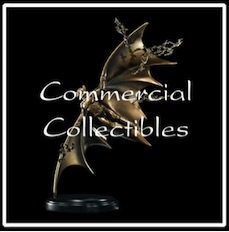 For more information about introducing this work of art to your home, click here.